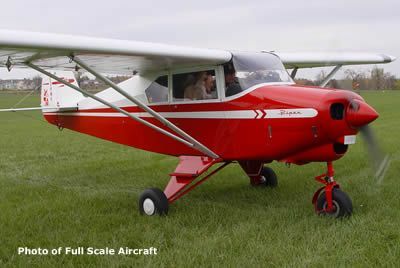 This is a great plan for a sport scale model of this short wing Piper. Scale fidelity is fair and shows wing flaps. A good builder can easily modify this plan to make a PA-20 Pacer, although details for this conversion are not shown. Construction is all balsa and ply and the engines recommended are a .25 to .32 two stroke or a .40 four stroke. There is no fiberglass cowling available for this plan, but any good scratch builder will have no trouble making a balsa cowling.